It's Not Serious! 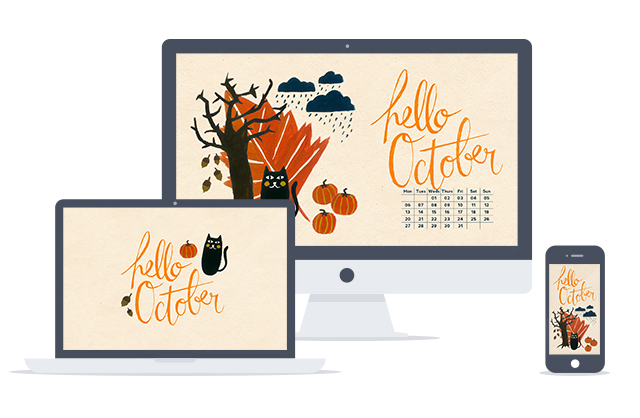 : Giveaway - Free October Wallpaper! 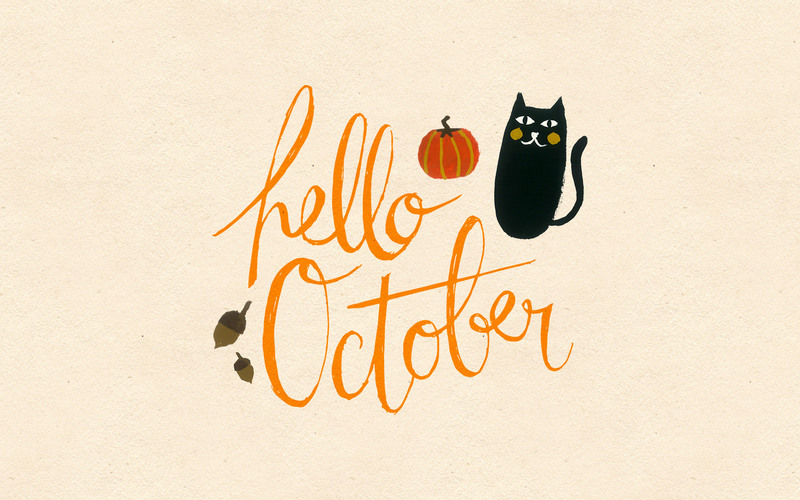 Giveaway - Free October Wallpaper! 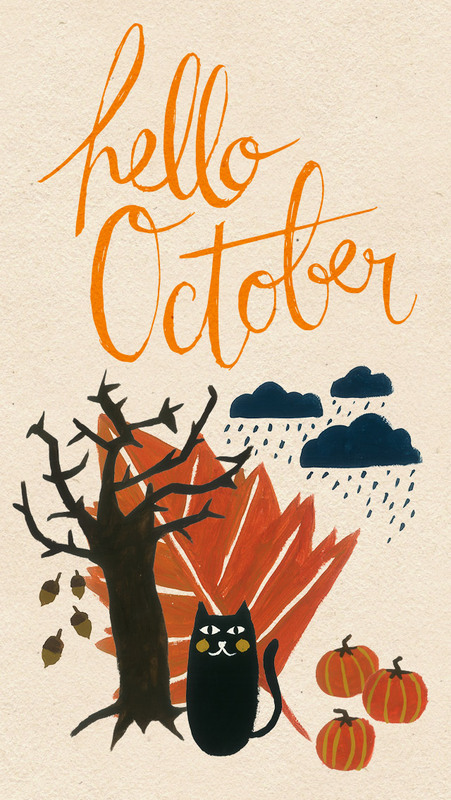 We're in October tomorrow, and you can definitely tell that the days have gone darker and the sun is sadly disappearing earlier each day, until you wake up in the dark and come back from the office in the dark... Although I'm not liking this aspect of Autumn, I am looking forward to the cosy weekends and the walks in the mountains amongst the fallen leaves. And there's Halloween! 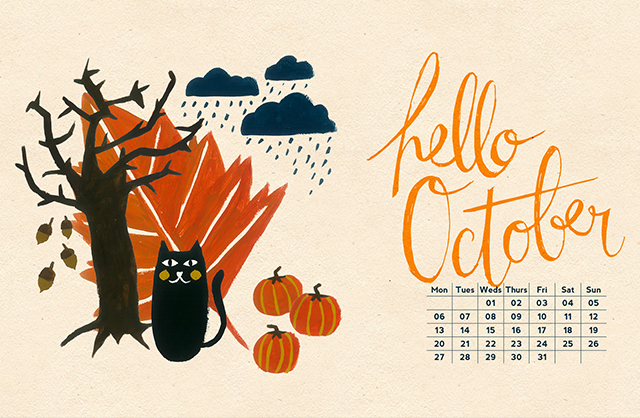 So here are the new handmade wallpapers, inspired by the way I see October and its rainy weather (and I obviously had to illustrate a black cat as well, for good measure). 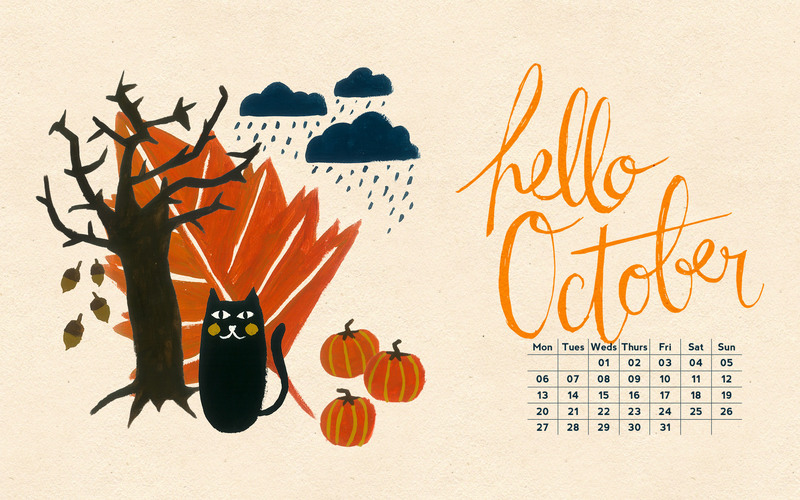 You can download the first version with the calendar here and the second one, more minimal, here. Don't forget to download the one for your mobile here as well!